A futon is one of the most versatile pieces of furniture to have at home, especially if space is restricted. In its simplest sense, it is a couch that can double as a bed. Over the years, different designs have been introduced. With the different types of futons that are available, you might end up being overwhelmed. If you are unsure of what to choose, it is a good idea to read this article first. We will briefly tackle some of the different types that are available, such as in terms of materials, design, capacity, and configuration. Before you choose, think about the size that is available in the room to determine which is best for your needs. This is the traditional type of futon and perhaps where all others have originated. 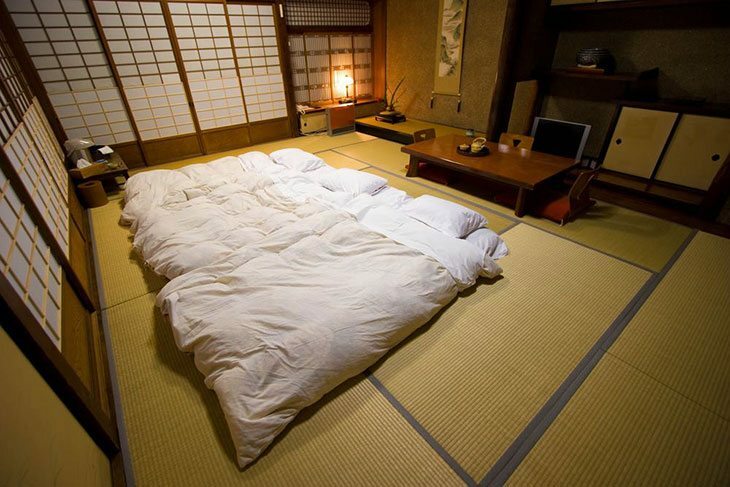 One of its defining features is the absence of a frame.It is essentially a thin mattress that you can lay on the floor and easily transfer from one place to another.The Japanese would normally keep it during the day. In the western countries, this does not fit the description of a futon. When you speak of a futon, this is what most people probably have in mind. As the name implies, it can be folded into two. This is the ideal sofa bed for most people because of its ease of configuration. This is preferred by many because the mattress looks like an attractive couch when it is folded and it lays flat when it is unfolded. This is the ideal choice if you have limited space. It comes with a two-piece design and is narrower compared to the bifold futon. More often than not, it also comes with a footrest, which makes it more comfortable when you are lounging. 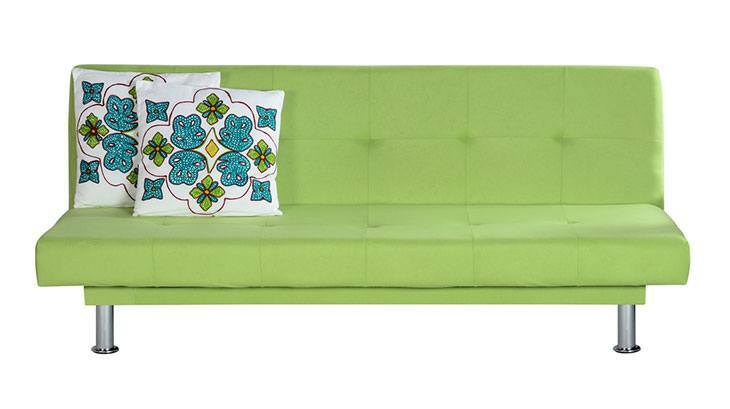 If you are living with your significant other, or in the room of couples, this can be a good choice for a futon. If space is not an issue, this is one option that you might want to take into consideration. It can be folded in three ways, which also means that it can be bigger than the traditional bifold futon. With this type, the mattress is usually thinner because it needs to be folded three times. This can possibly compromise comfort because of the thin cushioning. Aside from the style, futons can also be categorized based on the main material that is used for its frame. Solid hardwood is an inexpensive choice and common for people who are into DIY tasks. It can be stained or varnished to achieve a more rustic appeal. Lightweight and stylish – these are two of the things that make this type - a great option. This is a good choice if you are looking for portability, which will allow you to easily move the futon from one place to another. Because of the flexibility of metal, manufacturers are able to experiment with different designs. The style of this futon will remind you of a classic doctor’s chair. This can also be great in terms of flexibility as the user will be able to make several adjustments, especially when it comes to the height. Compared to the other options, this style is less common. This is a good addition to the patio or the veranda as it can provide you with a relaxing outdoor nook. For rooms with limited space, this is one of the best options that you might want to consider. The top part is a traditional bunk while the bottom bunk can be a bi-fold or even tri-fold futon. This can be a good choice for children’s rooms. 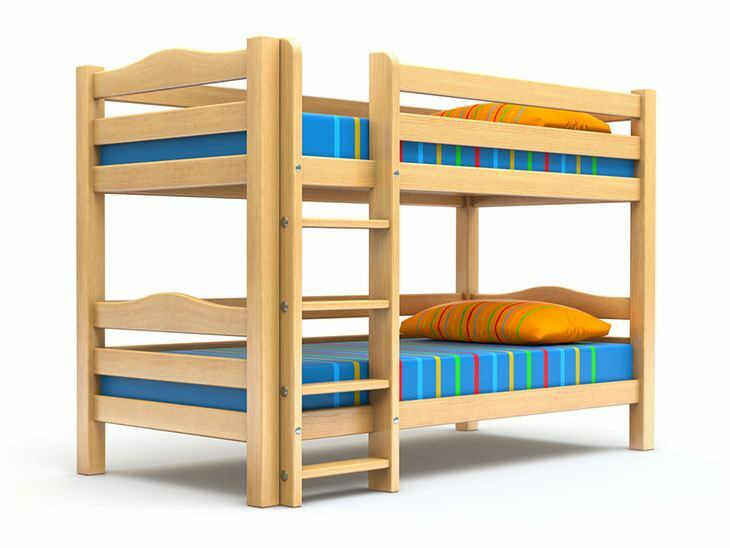 This type usually has a higher clearance compared to the traditional bunk beds. Most of the bifold and tri-fold futons are also armless. This is a good pick if you want an elegant and sleek appeal in the bedroom. It has a basic setup and its installation can be accomplished in a snap. Because there are no arms, it is also excellent in terms of space-efficiency and having more space for sitting. The distinguishing feature of this futon is that it comes with an ottoman, a space that is dedicated for your feet to rest. 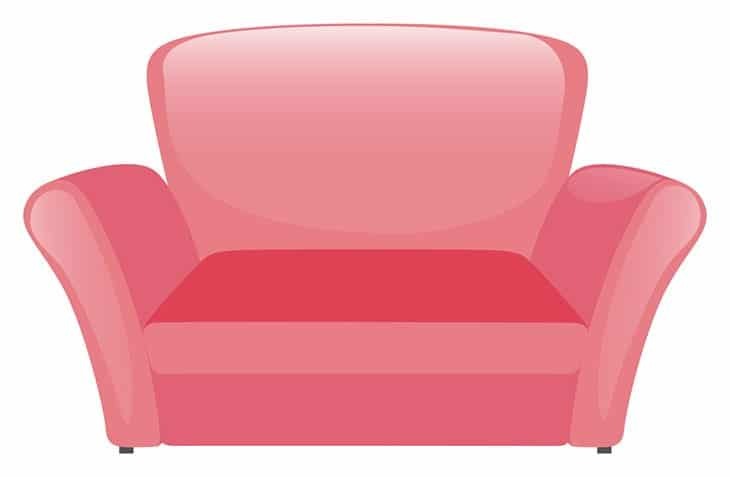 This means that without having to transform the couch into a sofa, you can still straighten your body as the ottoman will give your legs and feet a comfortable place to rest. The ottoman can also double as a storage space or even as a small table. Futons can also be categorized on the basis of their capacity. If you live on your own in a studio apartment, this is a size that will work best. As the name implies, it can accommodate only one person, whether you are sitting or lying. This can be a big space-saver. If you are looking for a futon that can seat and sleep two people in a comfortable manner, this is the best option for you. It can be made from a wooden or metal frame. It can also be bi-fold or tri-fold, depending on the configuration that you would prefer. 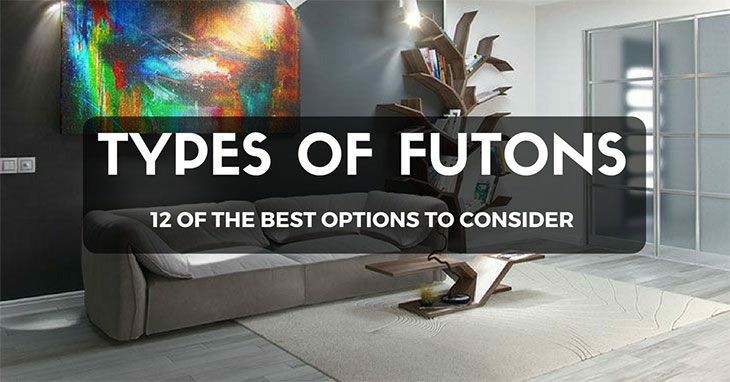 By now, we hope that you have been enlightened with our discussions above about the types of futons. 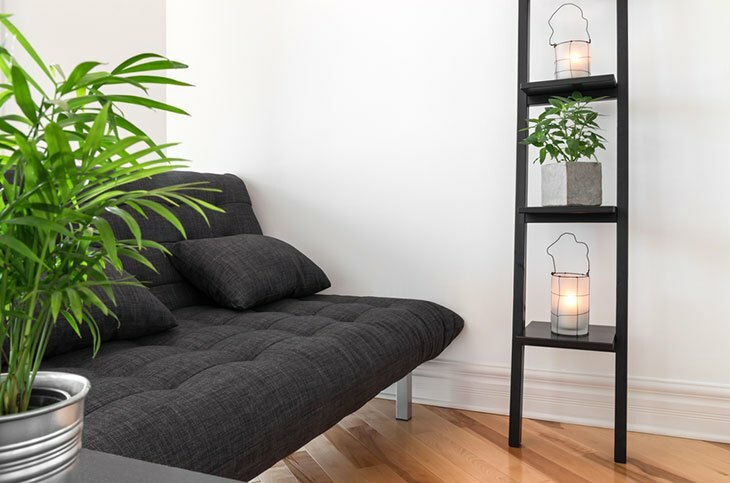 Whether you have a small or big space at home, regardless if you want to go minimal or elaborate, there is a futon that is sure to deliver a combination of form and function. Did you enjoy reading this guide? Is there any other type that you know? Let us know by leaving a comment below.